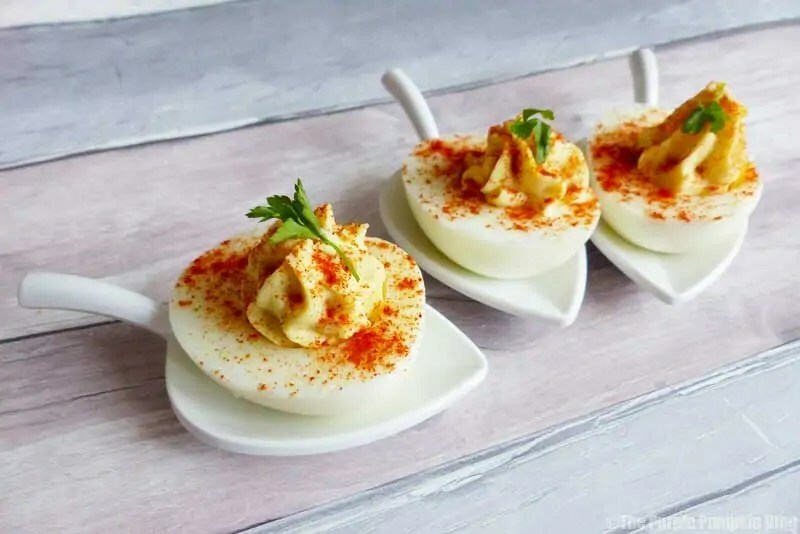 It’s been a long time since I’ve thrown a party, but I’m having a little get together this weekend, and thought I’d make devilled eggs as one of the dishes on the buffet table. 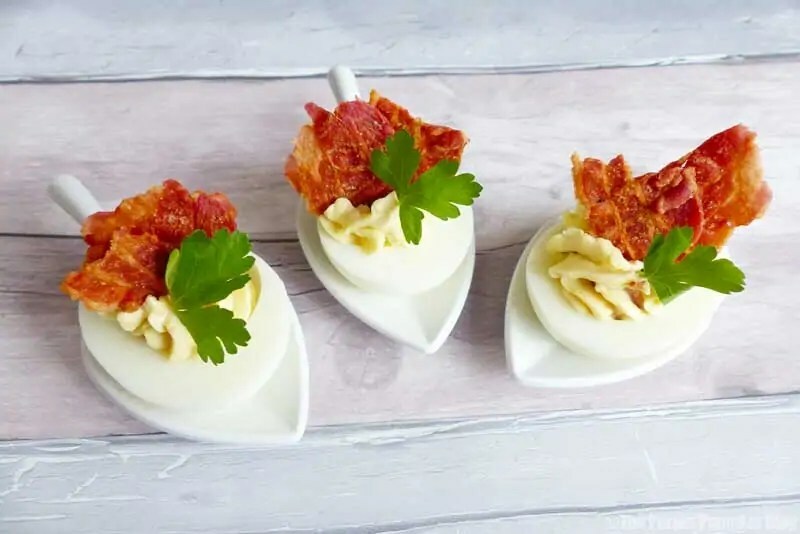 I have never made devilled eggs before, but it’s one of those party foods that I’ve always wanted to have a go at making. It was surprisingly simple, and actually quite therapeutic to make them, and I know that they will go down really well, if my husband’s reaction to them are anything to go by! 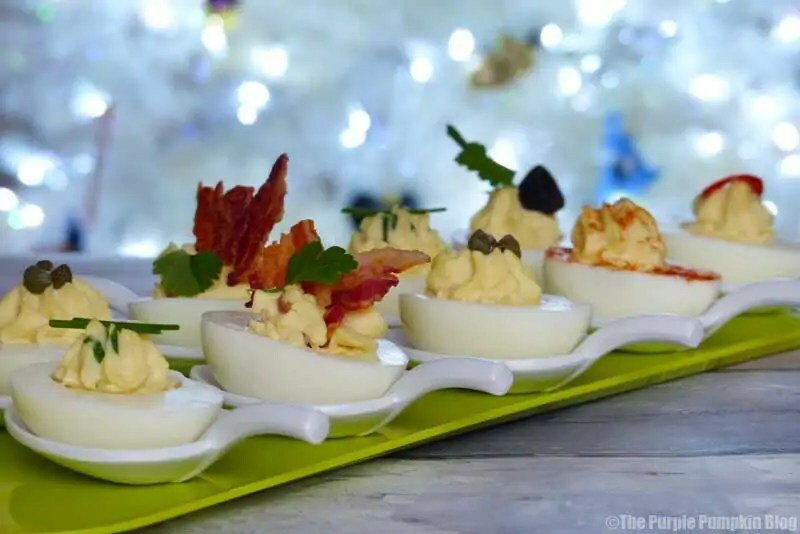 There are lots of different recipes online for making devilled eggs, starting with the basic filling, and then adding all sorts of tasty ingredients and toppings. I wanted to keep things as simple as possible, so my basic filling mix was the yolks, mayonnaise and mustard. 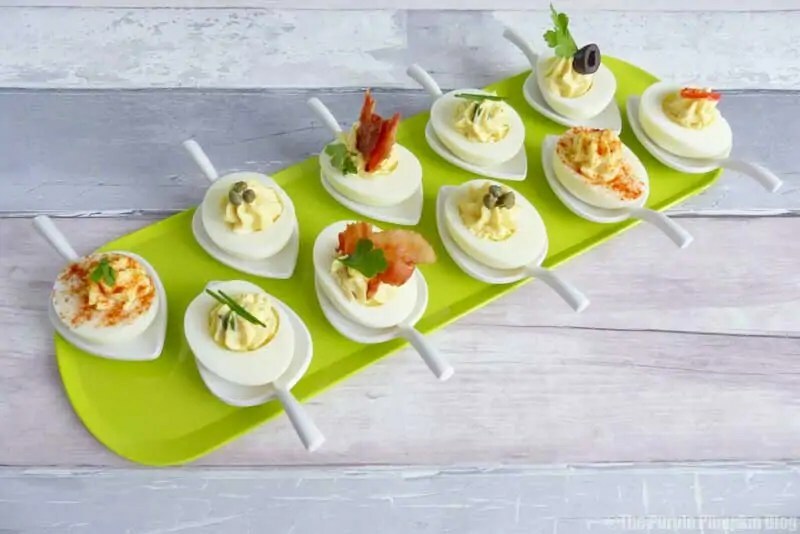 Let me show you how I made my devilled eggs, and then 7 ways you can serve them. Eggs are the main ingredient, so use good quality, British Lion Eggs. I’d read online that laying the eggs on their side for 24 hours, will help to centralise the yolk, so if you have time, do that; I did, and it seemed to help. Place the eggs into a pan, add cold water to 2cm above the eggs. Bring to a rolling boil, then place the lid on the pan and remove from the heat. Leave the pan to sit for 15 minutes, then run cold water over the eggs until cooled. 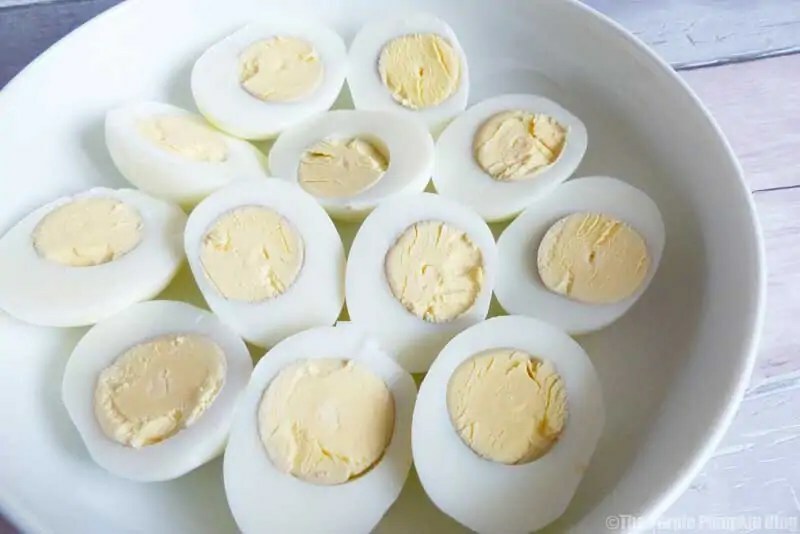 This will give you perfect hard boiled eggs. It should also prevent the grey ring around the yolks. I don’t think I did the cold water for long enough, as I did still have a tiny bit of grey, which really annoyed me!! Peel the eggs and cut in half lengthways. 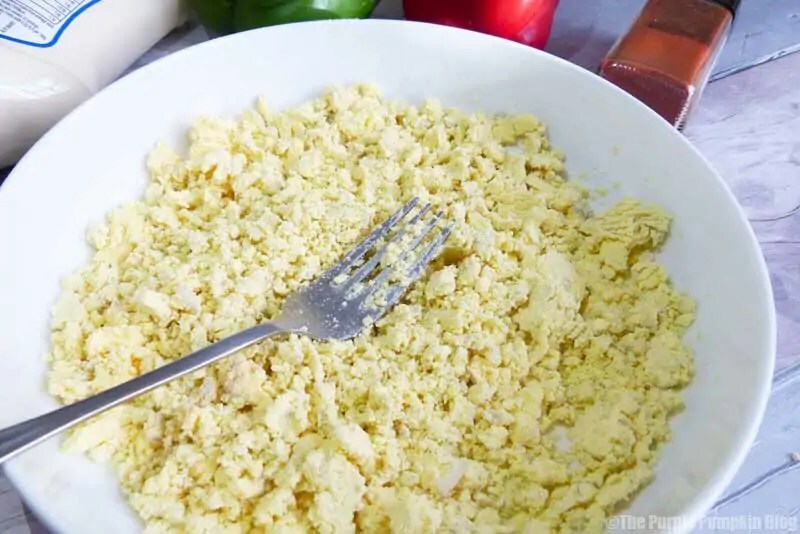 Gently pop out the yolks into a bowl, and mash with a fork. Add mayonnaise and stir to bring to the consistency of cupcake frosting/buttercream (that’s the best way I can describe it!) I probably used around 5 or 6 tablespoons for 10 large eggs, but I didn’t actually measure, it’s the sort of thing that’s best done by eye. I then stirred in a teaspoon-ish of Dijon mustard – I did this by taste – you may want more, or less, or not at all. Season with salt and pepper if you wish. Now that the basic mixture is made, use this to fill the egg whites, using a piping bag (or food bag) and a large star nozzle, or if you don’t have those, use a teaspoon. 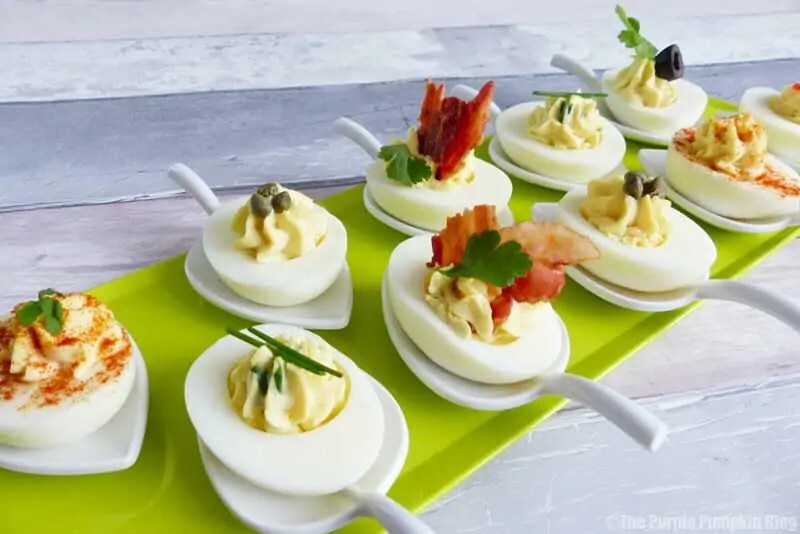 To make the eggs sit flat, you can also cut a tiny piece from the bottom of the egg white. 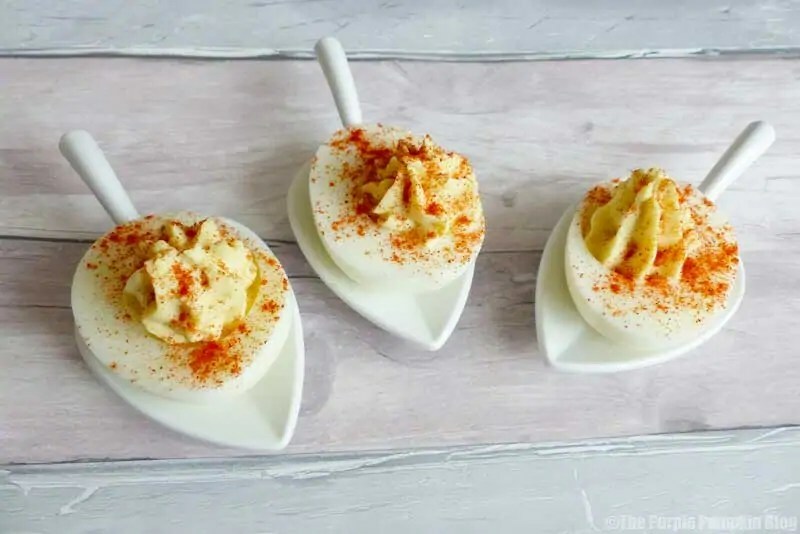 Sprinkle with the filled eggs with paprika, and you’re done! Told you it was simple! 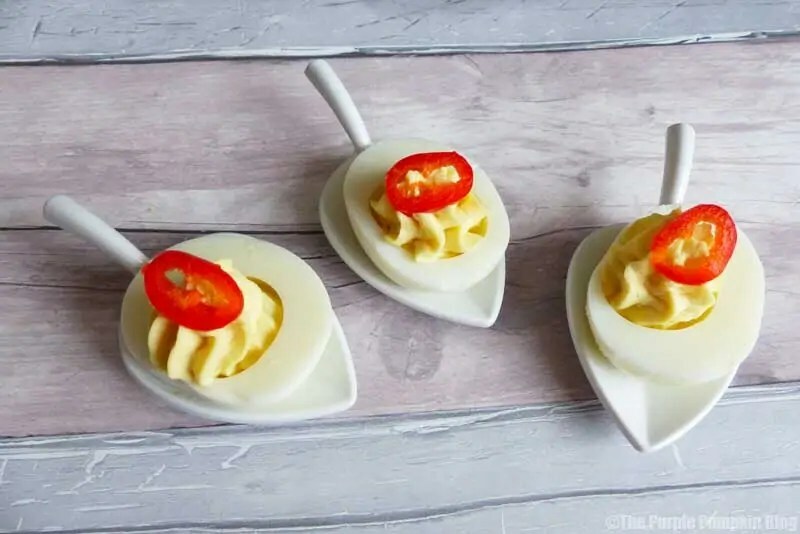 There are so many different ways you could make devilled eggs, the selection I made was using the things I have in my store cupboard and fridge. Once you get making, they’re actually very quick to make, and the end result for something so simple, is, I think, fabulous! Lay the eggs on their side for 24 hours (if possible), to allow the yolk to centralise. Place in a large pan and cover with cold water to 2cm above the eggs. Bring to a rolling boil, place a lid on the pan and remove from the heat. Leave for 15 minutes to cook, then run the pan under cold water to cool the eggs. 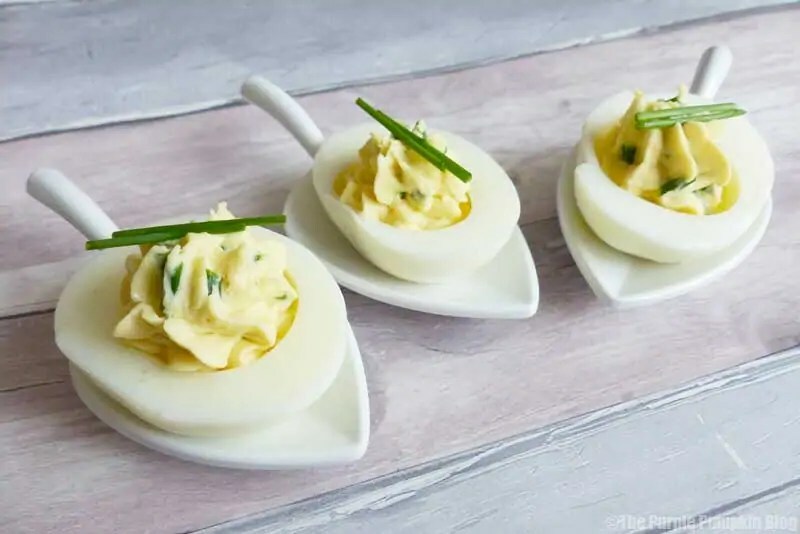 Peel and cut the eggs in half length ways. Gently remove the yolks, and place into a bowl. Mash with a fork, and add the mayonnaise - you may need more or less, add according to eye. You are looking for the consistency of cupcake frosting/butter cream. Stir in mustard (again, more or less, to your taste) and season with salt and pepper if desired. Using a piping bag with large star nozzle, pipe the filling back into the egg cavity. Sprinkle with paprika. 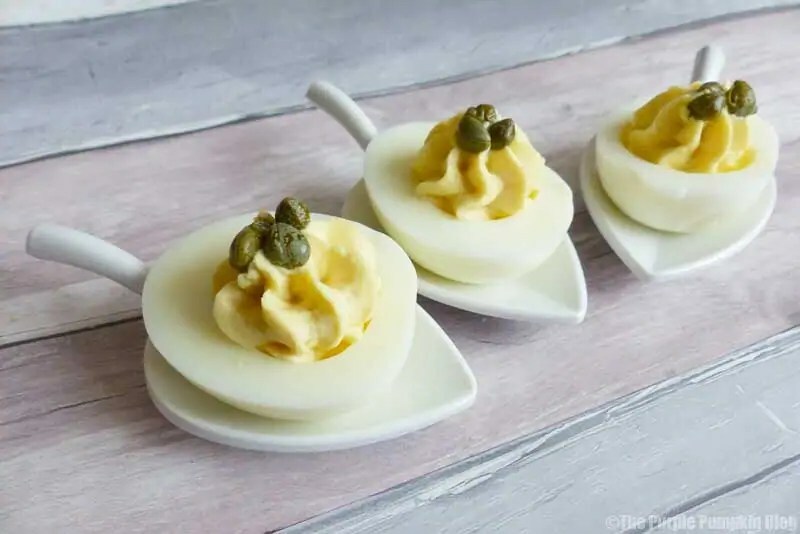 To make the egg whites sit flat, you can cut a small piece of egg from the bottom, before filling. 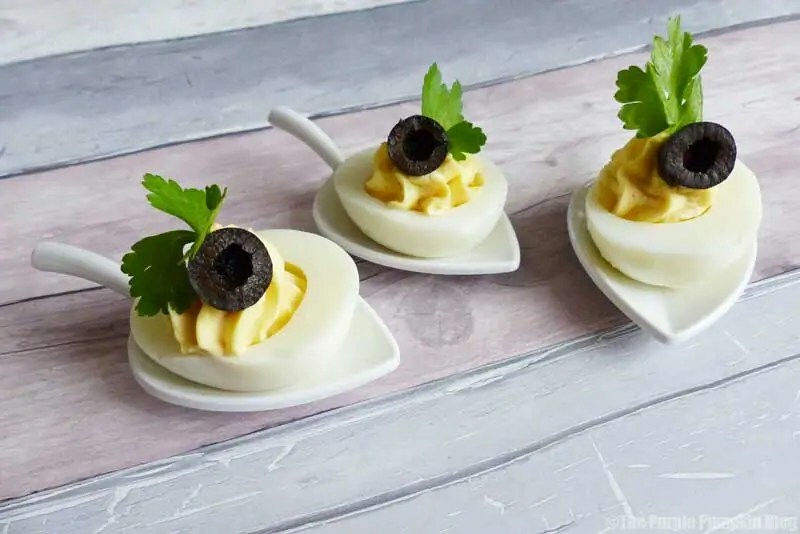 Here are my other British Lion Eggs Recipes that I’ve created in my role as one of the #ShortcutEggsperts. 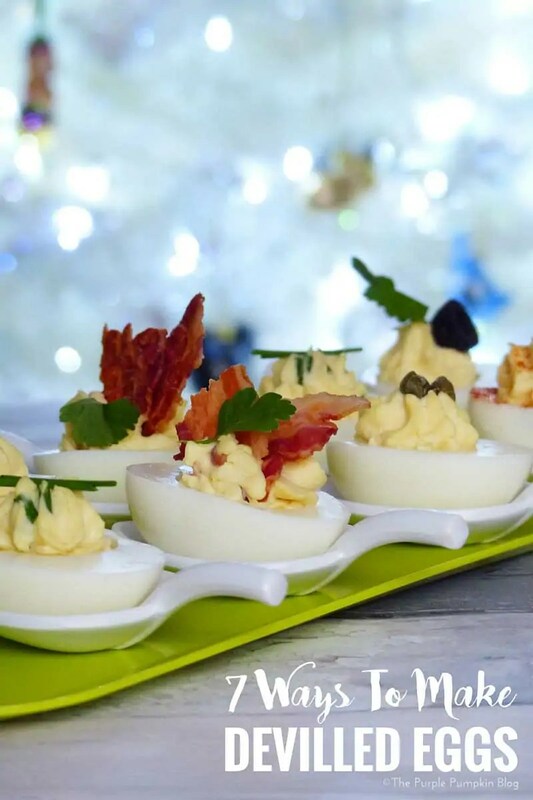 And don’t forget to check out the other egg recipes on the British Lion Eggs website. Disclosure: Collaborative post in association with British Lion Eggs.